Contractors liability insurance is a must for Ontario fence construction contractors, especially those dealing with electricity in cities such as Toronto & Mississauga. All construction work poses risks to employees and if the process is not completed in the right manner, it will pose risks to animals, farmers, herders and others. While many fence construction contractors believe they are highly skilled and knowledgeable in this profession, there is always room for error. Just the slightest mishap or mistake could lead to the death of an animal or human, in the event the electrical wiring or fence post is improperly installed. The only true financial loss prevention is fencing construction contractors liability insurance. Our rates start at $560/Year for $2 Million in CGL coverage. Get a Quote today! What Exactly Is Contractors Liability Insurance? When you consider the fact that there are so many different types of commercial insurance, there is no doubt that it is a complex topic. However, a qualified broker will sit down with you to go over your options and provide you with in-depth information about general liability insurance. This type of coverage is a form of prevention insurance that will protect you against financial loss, in the event of an accident, lawsuit and claim. For instance, if a disgruntled client files a lawsuit against your company, alleging you failed to install an electric fence properly on their property, you could end up spending thousands of dollars in litigation fees. And, this is not to even mention witness fees, court expenses and monetary judgments. All of these expenses will add up to a large sum over time, pushing you straight into bankruptcy court, if you do not have the cash on hand to cover them. While it may seem difficult to find a reputable brokerage or insurance company and get approved for construction liability insurance, these are genuinely easy processes. Our brokerage is fully qualified to assist you customize a liability insurance policy that is tailor made for your company. In fact, our brokers are more than willing to work with you to help you choose the proper coverage that will fully prevent you from experiencing a financial loss due to a claim or lawsuit. Fence damage responsibility often falls back on the fence installer. It is always up to the client to determine whether or not they feel it is pertinent to take action against the installer when something goes wrong. If you install a fence and it becomes wrecked due to a little wind, there is a possibility that it could blow into the client’s house. This could result in property damage in substantial quantities. When that happens, there is no doubt that the client is going to be ticked off. They may decide to take out their frustrations on you and your company! This could result in a lawsuit and a potentially hefty settlement. 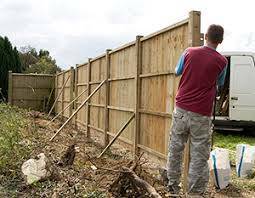 If you do not have fence construction contractors insurance, you’ll find yourself in big trouble at some point or another. Once the client has become dissatisfied, you’ll be at risk of being sued. This is why you should acquire contractors liability insurance for fence installers as quickly as possible in Brampton, Ontario. Get the brampton liability insurance coverage needed to protect yourself and your workers! 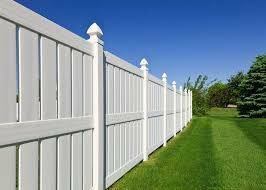 Many fence construction companies will be slow to acquire contractors insurance. This is often the case, because the prices can be a little expensive. Just remember that there are ways to limit the costs of construction liability insurance to some degree. At the same time, there are numerous factors that will play a role in determining the final price that you will pay. When attempting to acquire contractors insurance for fence construction, your company’s size, history and your personal credit score will all be taken into consideration. All of these factors will help to determine how much you’ll be required to pay from month to month. There is also a good chance that the insurance provider will look at your company’s contracts along with weather you do fence erection or not. A well composed contract can limit your risks and also decrease the costs significantly. Finally, working with the right broker may be able to help you acquire the insurance at a discount. When attempting to obtain the insurance that you need, you should find a reliable broker. Look no further than us. We’re always here to help and we’ll do whatever possible to ensure that you understand how to get construction insurance and get the lowest price humanly possible. We know the industry thoroughly and we’ll be able to protect you to the fullest!